I've not bought anything from NYX in ages. I really like their primers and makeup brushes but their prices seem to have gone up quite a bit recently. 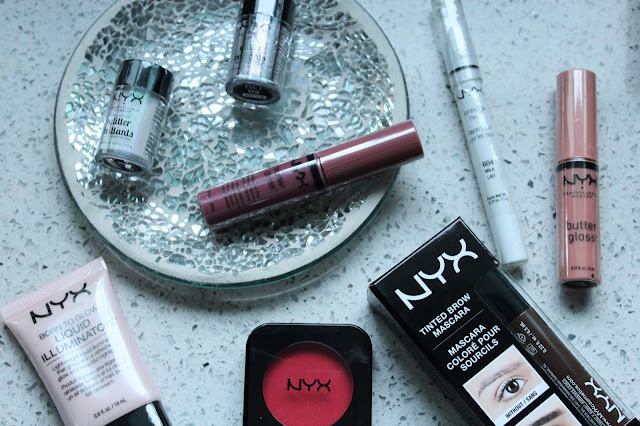 Oooh I love that NYX lip colour, it is beautiful! I have one of the glitters and it’s beautiful but I’ve struggled to get it to stay in place! What do you use to make it stick? That liquid illuminator sounds so lovely!! Love NYX! I am always so tempted by the pigments and glitters but i can never tell what they're really like because you can't swatch them! I find it so annoying!